Monday came fast this week! We had some friends and their kiddos come for the weekend and it was go, go, go! Kinda crazy, but tons of fun. Hope you all had a great weekend as well. 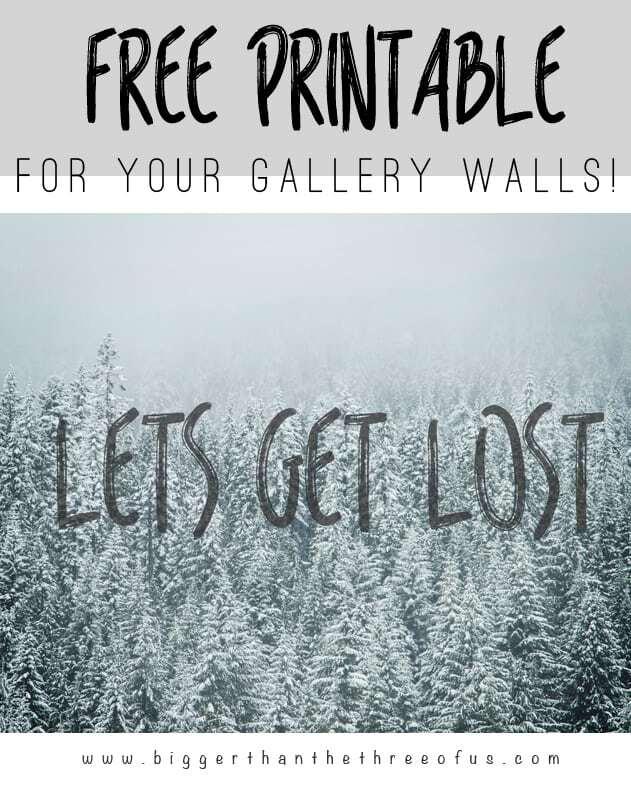 Today, I’m sharing a Free Adventure Printable for Your Gallery Walls and I hope you love it! 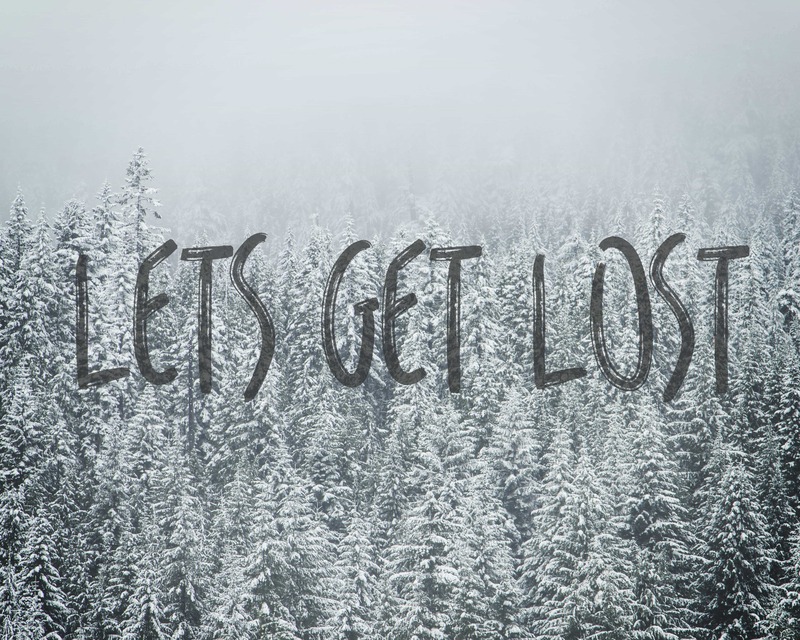 I’ve always been drawn to quotes and sayings and especially travel-related one’s. It’s been fun playing around with textures and patterns to create free printables to share. 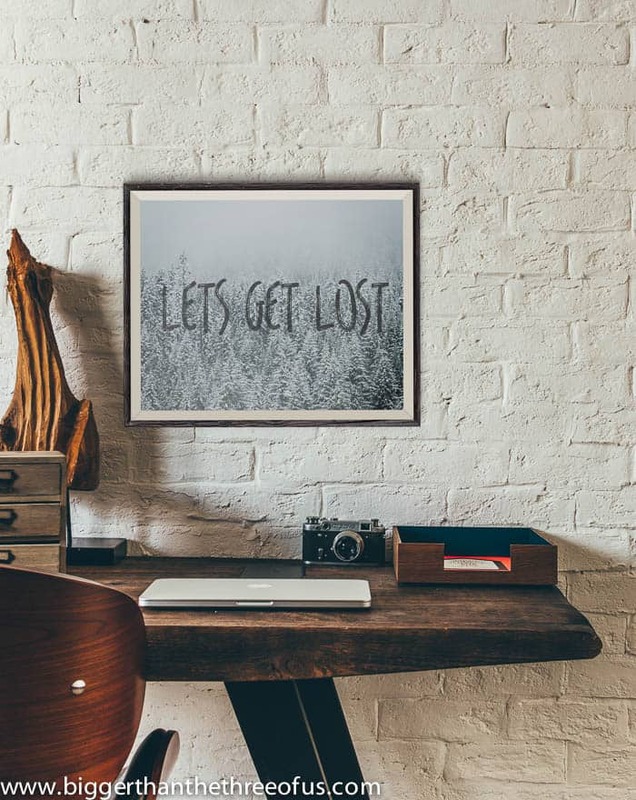 Get your free printable of Lets Get Lost. If you like this quote then you may like my Be Brave Printable and my Be a Traveler Printable. I’m hoping to share some kitchen progress with you this week. It’s been quite awhile since I’ve shared anything, so I think it’s about time that I got my act together and put together a post. Found and Foraged, Hit Me With Your Best Shot, Work It Wednesday, Think and Make Thursday, The Inspiration Gallery, Creativity Unleashed – The Bold Abode, and Remodelaholic.